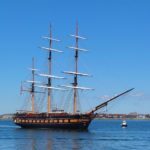 Just show your Tall Ships ticket or ticket stub at the Battleship’s Ticket Office this weekend – Friday, May 25 through Monday, May 28 – and get half off a Fire Power Tour of the World’s Greatest Battleship, open every day from 9:30am to 5pm. Now guests can enjoy a delicious Dietz & Watson sausage sandwich or hot dog, an ice cold Pepsi or beer, and some scrumptious snacks at the Chowline every day from 11:30am to 2:30pm beginning Saturday, May 26. 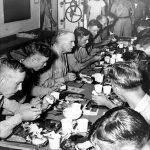 Get your lunch that same way the sailors received theirs, and enjoy eating it in the Crew’s Mess. Happy Mothers Day Weekend from the Big J! 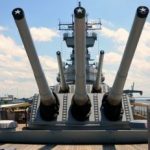 Happy Mothers Day Weekend to all the moms from the Battleship New Jersey! 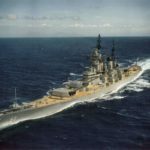 Bring mom for a tour of the World’s Greatest Battleship today through Sunday, May 13, and we’ll give her a coupon good for 20% off her first visit to Rizzieri Salons and Spa! 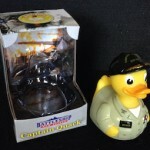 Captain Quack Rubber Duck Race! 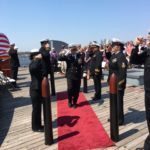 The Battleship New Jersey salutes Chief Warrant Officer 3 (SW/AW) Thomas Nicola, Jr. on his retirement. The Big J was proud to host your ceremony! 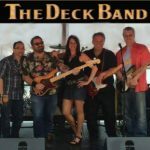 See Local Bands Perform on the Battleship Today and Help Battle Alzheimer’s! Today marks the 50th anniversary of the commissioning of the USS New Jersey for the Vietnam War. The Battleship New Jersey served in the war in 1968. 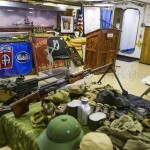 Tomorrow, Sat., April 7, the ship’s annual Vietnam War Living History Day will take place with artifacts, re-enactors and veterans throughout the ship from 10am to 3pm.